petition: Change Main St to MANE St! 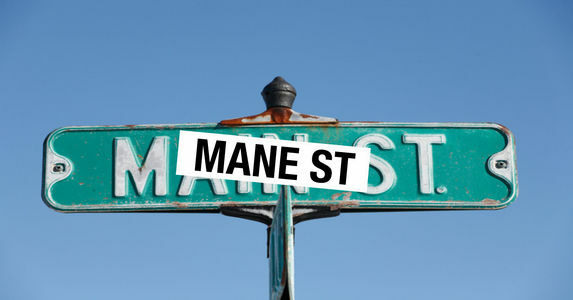 Change Main St to MANE St! Hello, I'm IMAKEMADBEATS. I'm an artist/producer/engineer from Orange Mound, Memphis, TN and founder of Unapologetic, a creative company. If you're from Memphis, you know the many ways the word "mane" is used. It's a part of our culture as Memphians. To be clear, I'm not talking about southern culture. I'm talking about what is to be from and live in this unique space in the corner of TN. It's a word we're proud of... one that has made it's way into movies about our culture... songs about our culture. It's a word used by the old and the young, crossing all demographic divides. People from this city have become the culture shifters celebrated around the world, and a lot of the time it seems the rest of the world celebrates, adopts, and makes more money off of our culture than we do. Our ideas in music have fueled other southern cities identity in the music industry. It's time that Memphis did what was necessary to not only take ownership in who we are and what we are, but for the city officials to show the people of Memphis appreciation for being and creating this culture. And "MANE" is a big part of our culture. So why is MAIN St called MAIN St again? Just because all cities have a MAIN St? Well Memphis isn't all cities. It's a very different city, in an amazing way. Make Main St MANE St. Let's make sure we appreciate us.